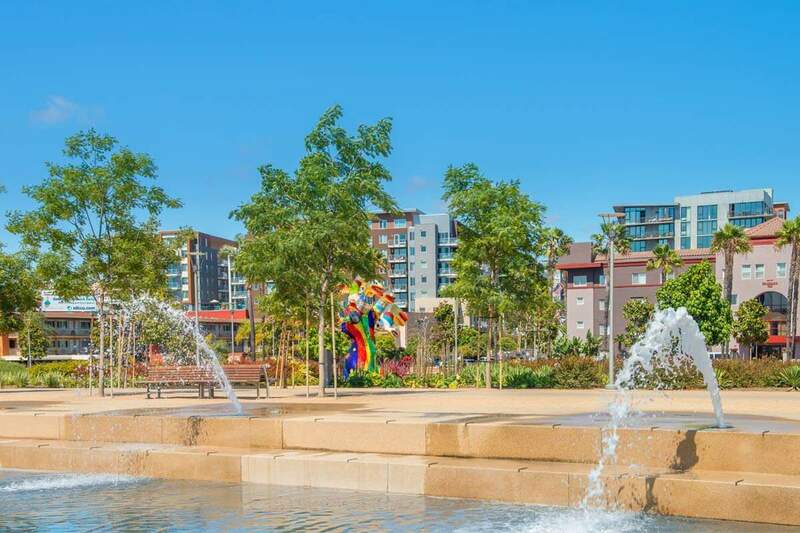 Seaport Village, one of downtown San Diego’s most popular tourist attractions, encompasses four miles of winding cobblestone pathways framed by ponds, lakes, fountains and beautiful landscaping. This lovely waterfront complex is nostalgic of the San Diego harbor centuries ago and features more than 50 shops, casual eateries, fine dining and a variety of entertainment venues. The Star of India was built in 1863 and is the world’s oldest active sailing ship. The ship sailed from Great Britain to India and then to New Zealand before becoming a salmon hauler from Alaska to California. The magnificent ship was lovingly restored after its retirement and became an official historic landmark that still sails at least once a year. Today, the Star of India is a part of the Maritime Museum of San Diego. Visitors from all over the world can tour the ship and learn about its fascinating history. The USS Midway was an aircraft carrier for the United States Navy that was first commissioned at the end of World War II. The largest ship of its kind in the world until 1955, the USS Midway was the first ship that was too big to transit through the Panama Canal. 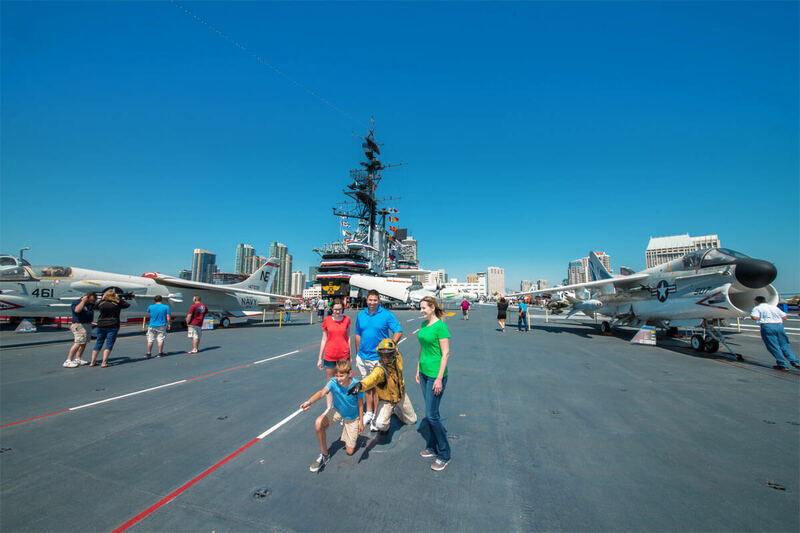 During its 47 years of service, the USS Midway served in the Vietnam War and Operation Desert storm. 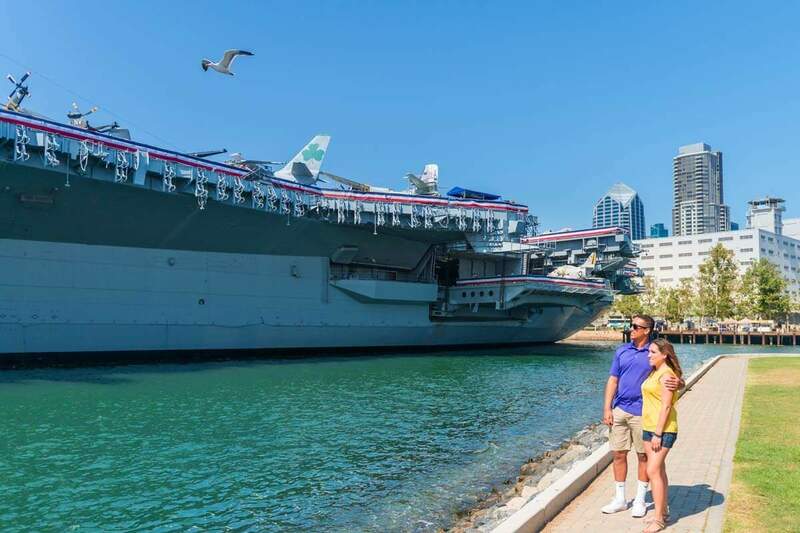 After being decommissioned in 1995, it became a museum and now offers visitors an incredible close up look at the history of this significant vessel as well as the fascinating life on-board a naval aircraft carrier. Lindbergh Field, San Diego’s International Airport, is named after the renowned aviator Charles Lindbergh. Lindberg made history when he flight tested the “Spirit of St. Louis”. A neighborhood in Point Loma, Shelter Island is actually not an island because it is connected to the mainland by a narrow strip of land. Before it was built up into dry land in 1934, it was just a sandbank in the San Diego Bay that was only visible during low tide. Today, this tiny area that measures 1.2 miles long by a few hundred feet wide, is home to hotels, restaurants, marinas and is known as the premier destination for super-yachts because of its deep access. California Sea Lions are famous for their playful, intelligent behavior and indisputable cuteness. And observing them in their natural habitat is one of the most unforgettable experiences you’ll have in San Diego. There are several places where you can see these adorable creatures doing what comes naturally – hanging around in the sand, lounging in the sun and playing in the water. A scenic seaside community, Point Loma is known for its multi-million dollar mansions that dot the rocky hillsides. A peninsula, Point Loma defines San Diego Bay and separates it from the Pacific Ocean. It’s here that visitors come to catch dramatic waves, explore tide pools and enjoy the views of the bay and the San Diego skyline from the lighthouse. There are also a myriad of restaurants, art galleries, shops and more. Located at the North end of the Coronado Peninsula in the San Diego Bay, the North Island Naval Air Station is the homeport of aircraft carriers for the United States Navy. An imposing sight sitting in the middle of the bay, it is one of the largest repair facilities for fighter jets. Imagine viewing an active submarine base! The Point Loma Submarine Base was established in 1998 and serves the United States Navy. The Scripps Institution of Oceanography was founded in 1903 and is one of the oldest and largest centers for global science research. Visitors can tour the various buildings within the facility and view the Birch Aquarium and numerous exhibits that teach about the wonders of the ocean and marine species. Educational programs, events and live animal interactions are offered throughout the year. 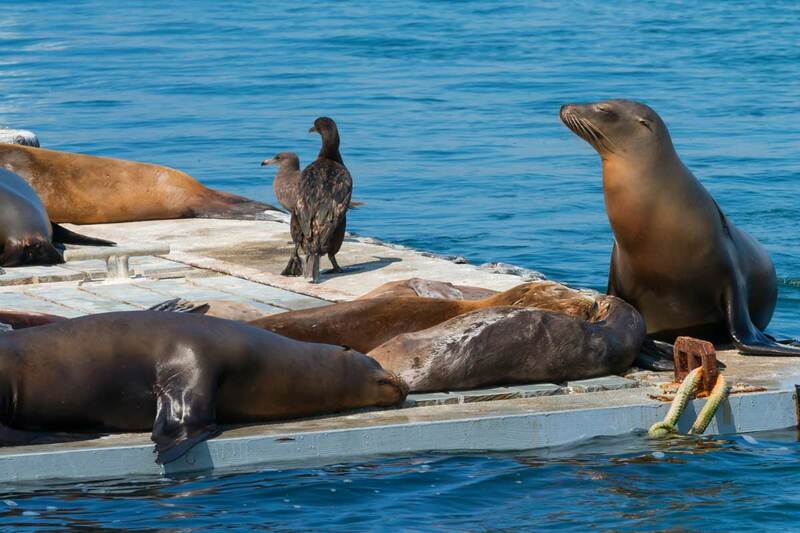 At the Marine Mammal Training Center, bottle-nose dolphins, California Sea Lions and other marine animals are trained to perform tasks such as ship and harbor protection, mine detection and clearance and equipment recovery. The animals serve the United States Navy and are housed and trained on site.